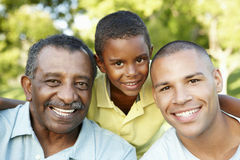 Maryland law provides both parents with the right to have a healthy relationship with their child. However, there is a commonly held assumption in our society that family and domestic courts are biased against fathers having sole or primary custodial rights of children. This widespread bias makes it necessary for many men to zealously fight to protect their parental or “father’s rights” in Maryland. 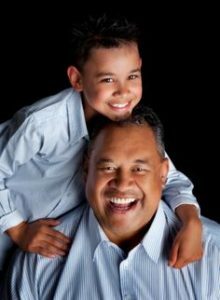 Failing to assert and protect his parental rights, could mean that a father may not be able to have and maintain the healthy and well-rounded relationship his child deserves. Even now, years after official presumptions against fathers have been purged from statute books throughout Maryland and the United States, fathers still face intimidating challenges in Maryland Circuit Court proceedings involving minor children. Many men who have been involved in divorce, custody, and other domestic litigation can likely attest to the fact that they felt they were at a disadvantage in the Maryland court system. If you are seeking sole, primary, or shared custody, you may face a tough fight in the Maryland court system that seems all too willing to be influenced by outdated gender norms. Your family circumstances may seem difficult, especially when you are being criticized by the mother, reprimanded by the judge, or unfairly suspected of posing a threat to your own children. But there is hope when you have a true Maryland father’s rights lawyer on your side. The Law Office of LaSheena M. Williams, can give you the tools you need to fight for your parental rights and help you remain a positive and influential presence in the lives of your children. From our office in Rockville, the Law Office of LaSheena M. Williams, has a demonstrated record of success on behalf of Maryland fathers in custody disputes arising in divorce proceedings or paternity cases, in related matters such as domestic violence defense, domestic violence petitions, and in post-decree proceedings such as child custody modification and custody order enforcement. If you are a father seeking child custody or litigating a divorce in Prince George’s County, Maryland or Montgomery County, Maryland, or you simply have questions about your rights as a parent, contact the Law Office of Lasheena M. Williams, LLC. You can reach a Maryland father’s rights attorney with the Law Office of LaSheena M. Williams, LLC at (301) 778 – 9950 or by leaving an online consultation request.